I’ve just finished this painting to feature on this year’s Christmas card. 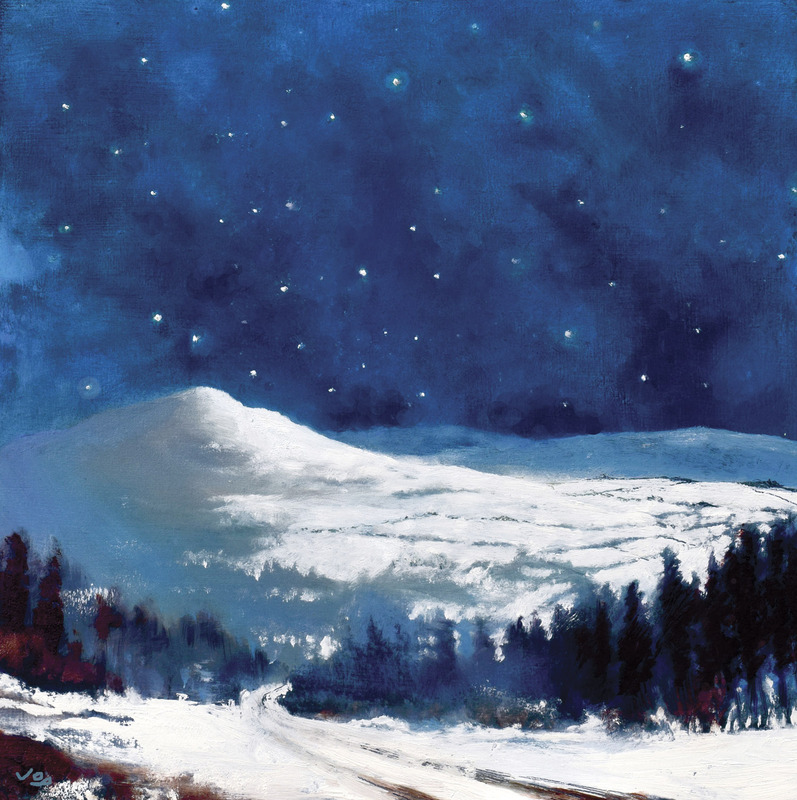 It’s becoming a bit of a tradition to create a snow-covered landscape I’m fond of especially if it’s a starry night. The Christmas cards are no longer available. The original painting is available on the art shop. What can I say John…a sense of the peace we seek at Christmas exudes from this magical landscape. As always I find your nightime snowy scenes very powerful and emotive. Congratulations on a creating another unique and accomplished painting and thank you for making it into special Christmas cards so we can spread the magic this Christmas!